Jazzanova are Alex Barck, Claas Brieler, Jürgen von Knoblauch, Stefan Leisering & Axel Reinemer. The DJ collective known as Jazzanova don't have many "proper" albums to their name. Sure, there have been many EPs and remix compilations along the way to keep the main albums company, yet the press material for Jazzanova's album The Pool states that this is their first album in ten years. It's funny to imagine that an album like the live-in-studio Funkhaus Studio Sessions, which I very much enjoyed, doesn't appear to count in the long run! Any way you choose to look at it, The Pool is very much a worthy follow-up to Of All Things and can take its rightful place alongside any other classic album of the electro-crossover persuasion. Stefan Leisering, Alex Barck, Claas Brieler, Axel Reinemer, and Jürgen von Knoblauch have never strictly stuck to any one genre because, back in their early days, they weren't sure what they were going to create. As time rolled along, old-fashioned soul, R&B, and modern hip-hop had no problem cozying up to electronic dance pop or anything remotely "jazz" related in Jazzanova's world. This time around, the flagship single from The Pool "Rain Makes the River" could eerily pass for Portishead. "If rain makes the river / Rain needs to fall," Rachel Sermanni coos in a voice that barely registers in a mix stuffed with hypnotic trip-hop samples and soft horns. Two tracks later, we're in Gorillaz territory as KPTN tags slightly extended drawls at the end of his phrases on "No. 9". The odd thing is, when you're listening to The Pool, a stylistic shift from "Rain Makes the River to "No. 9" (which samples the Beatles's "Revolution 9", in case you were wondering) doesn't feel the slightest bit jarring. This isn't hard to believe. Jazzanova have been honing their niche "thing" for more than 20 years now. To have at least 11 different guest vocalists appear on a 51-minute album without it sounding like a badly jumbled amateur mixtape is a special skill, not to mention a subtle one. Good songs and professional performances help, too. The easy-going and soulful "Let's Live Well" is a highlight thanks to Jamie Cullum's smooth melody. Pete Josef's pop-friendly tenor keeps "Follow Your Feet" light. Paul Randolph, who sang on the ruthlessly magnetic single "I Human" from Funkhaus returns for "It's Beautiful", which holds the catchy cards close to the chest while playing all the abstract, moody ones. My personal favorite could be the last word, "Summer Keeps on Passing Me By" featuring Ben Westbeech. It swiftly swings on a waltz beat, chugging over an electric piano, never giving in to modern R&B clichés. To be perfectly honest, I didn't think that an outfit like Jazzanova was capable of making an album like The Pool. I knew they were good, but I wasn't aware that they were this good. Each track can survive on its own in the wild. Together within one album, and it's an unstoppable force. 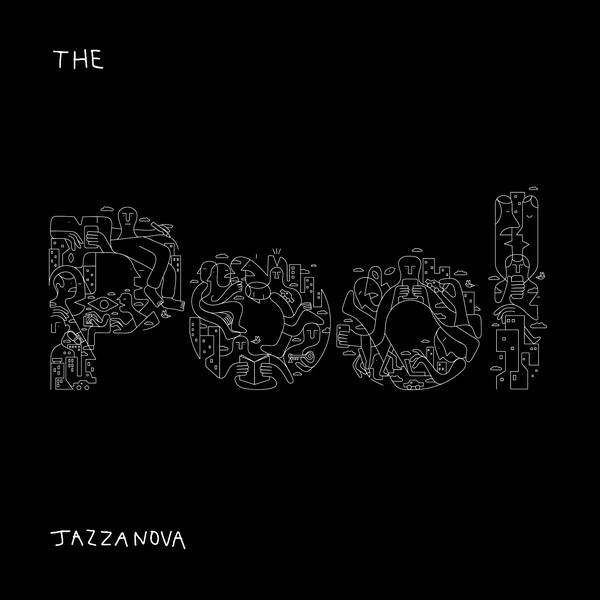 I don't know how they did it -- and I doubt that Jazzanova are all that confident on how they did it either -- but they have made a classic with The Pool.